Make a sweet impression with these individually wrapped gourmet pillow mints. 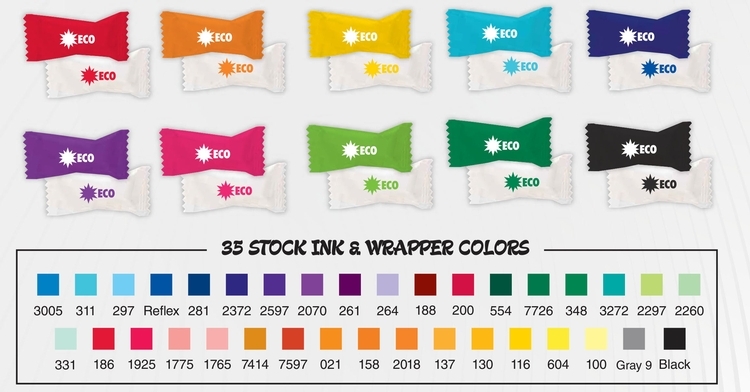 Choose from a variety of mints as well as wrapper and ink colors. 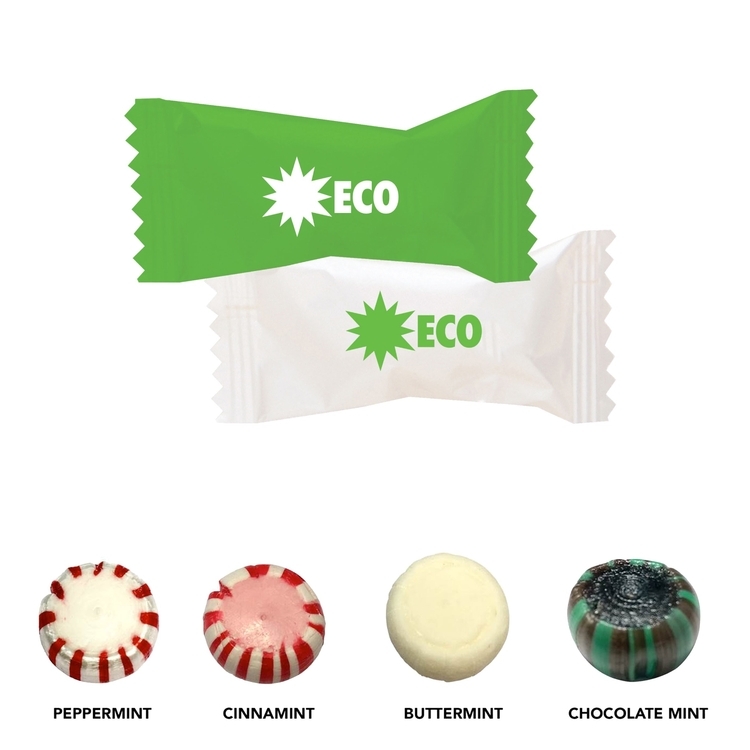 Mint flavors include peppermint, cinnamon, chocolate, and buttermint. Great promotional product for trade shows, colleges, restaurants, banks, hotels, and credit unions . Total size: 2" W x 1.25" H x 0.5"D. Kosher. Must order in case quantities of 2,000. Please call for other options.